Jio USSD Codes: Hello, jio users welcome to our jio guide blog. Do you want to know the Jio USSD codes check your balance, data usage and validity of your current pack? Then use the below USSD codes I know your bank details. Jio network is the number one mobile network in India today this is because of their unlimited plans and offers. Jio network is only network which shares providing unlimited services with low cost some most of the people switching their current network to jio. Reliance jio initially launched jio 4g network and provide them with free of cost so many people paid attention on jio network because of its unlimited plans. Jio also many applications engage the jio users with their network. They have released many applications like jio TV, jio cinema, jio music, jio 4G voice and etc. Using these applications they made jio users to stick with their network. 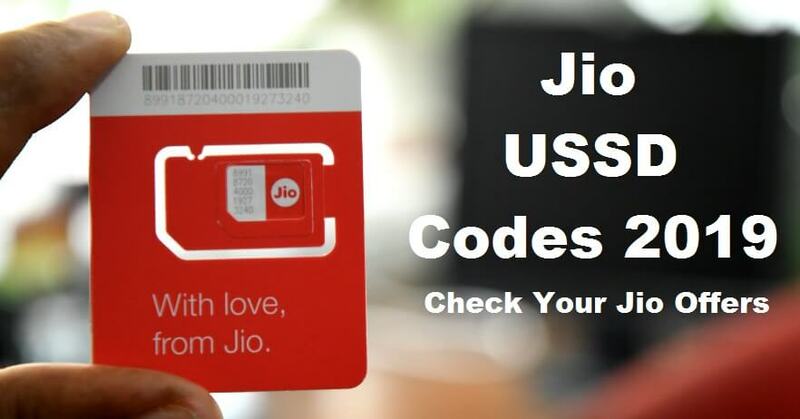 OK let's get into the topic how to check Reliance jio data balance using USSD codes? Also Check: Jio TV for PC Windows, How to Use Jio TV Without Jio SIM? There are different ways to check your 4G data on account balance check what all those ways are? 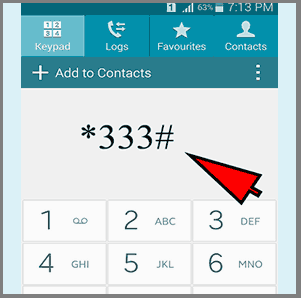 *333# dial this jio USSD code to check your balance. You can also check your balance via SMS that enter text MBAL to 55333 numbers. This is a toll free number so for sending SMS to this number. Once you have sent the message to this number you will receive your main balance details. To check your 4GB data usage you don’t need USSD code just disconnect your internet then you will get SMS weather information about your data consumption. Reliance jio provides many offers with different plans/packs. Jio becomes very famous because of this many features and offers only. Most of the time we will forget our current plan and details so more about the current features we need to call the customer care. To avoid these things we have a simple Jio USSD code to know your current jio plan/pack. Just type SMS MYPLAN to 199 numbers. Once the message sent correctly you are easy one reply message with your current jio plan details. Checking the 4G data balance is a common and frequently doing task. To check this 4G data balance I don't need USSD code. Just type BAL and send it to 199 from my work stirred jio Sim. Then you will get a reply from jio the complete details about your service balance, data pack, SMS quota and other details. Note: There is another and alternative way to check your data uses on jio which is? Go to settings on your Android phone and click on the data usage option there you can check your 4G data consumption and also you can set a reminder to the particular data. Jio provide free caller tune for jio customers so if you are a music lover then go and activate your favorite song as your caller tune. To activate jio caller tune just type MOVIE and send it to 56789. Now you will get a list of songs from the list select your favorite song and follow the steps which are shown in that SMS. This will be free for particular period of time then you will be charged for this caller tune. Most of the time we required this think because most if the people will forget their sim number so use this USSD code and get your jio sim number. dial *1# and you will get your mobile number details. If you are using my jio app you can get all details about your current jio sim like jio plans, offers and etc. in the home screen of my jio app under the my jio heading you can see your jio sim number. These are all the working jio USSD codes of 2019. If you have any doubts related to jio network and other jio application please feel free to ask us. We provide solutions as soon as possible. Thank you for your visit guys.